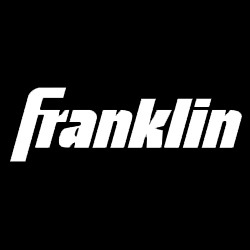 One of the most popular sporting goods companies in the United States is Franklin Sports. The company was founded in 1946 as a regional company selling sporting goods products. In the 1960s, Franklin began to promote their products with athletes, starting with Joe Namath. As time went on, Franklin continued to affiliate themselves with world class athletes like Sugar Ray Leonard, Dan Marino, David Robinson, Barry Bonds and others. Today, Franklin Sports batting gloves are the official batting gloves of Major League Baseball. In the early 1980s, Franklin got together with Mike Schmidt for what turned out to produce Franklin's iconic batting gloves. Ever since their relationship with Schmidt, Franklin has become the most popular batting glove for Major League Baseball stars and have grown into the official batting glove of MLB. While they started out as the premiere batting glove provider in MLB, the company has since grown to offer more products across the board. Like many other top sporting goods manufacturers, Franklin has developed relationships with some of the best players in MLB today including Joey Votto, Miguel Cabrera, Jose Altuve and others. The goal of sponsoring athletes such as these is to reach the new market of those younger players trying to be like their favorite stars. The best way to be like them is to use the same tools and gloves as they do. Over the years, Franklin has also partnered with several sporting goods companies including MLB, National Football League, National Hockey League, Major League Soccer and several colleges and institutions, as well as entertainment enterprises like Marvel, Disney and Nickelodeon. Franklin products are likely the easiest to find in stores around the country. With great products offered at a valuable price, these products can be found at sporting goods stores, wholesale centers and other shops where sports products can be purchased. Franklin is also a provider of several backyard and outdoor games like ladderball, cricket, darts, bocce and more.